Discussion in 'Console & PC Gaming' started by GTPNewsWire, Sep 18, 2017. This article was published by Brendan Rorrison (@Brend) on September 18th, 2017 in the Product Reviews category. GTPVenomZombie, BIG CAROLINA, gt6champnk69 and 4 others like this. 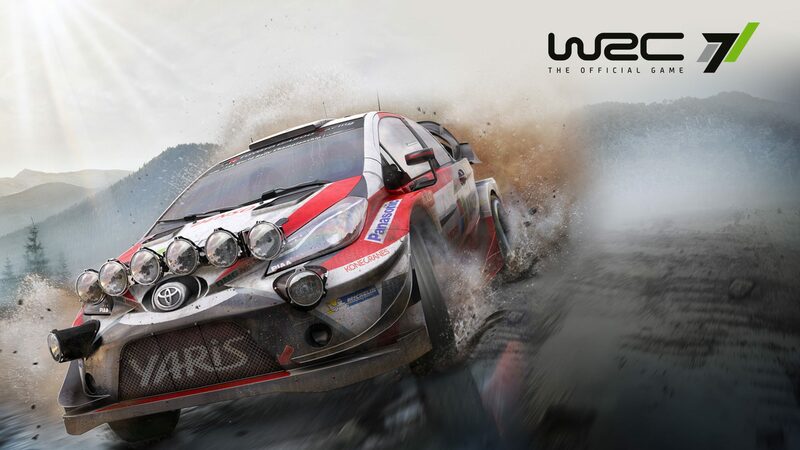 In other news, WRC 8 is set to release next week, followed by WRC 9 the week after. Spot-on review. My sentiments exactly. I love the game. It captures that edge-of-your-seat feel that DiRT Rally gives you. This game is getting smashed in the reviews from traditional outlets, whom I do not believe at all. They seem to know absolutely nothing about rally. Ever. I mean, IGN gave WRC5 (one of the worst games ever in any genre) a 59 but gave WRC7 a 60. The physics are pure simcade: correct but not deep. It's intuitive and cars behave as you expect them to. Couple this intuitive handling model with the jaw-dropping challenging stages and it's a real winner. I love it. Great effort after the abominations of WRC5 & 6. My biggest gripe is the 30fps on consoles (I use PS4 Pro). But at least it's smooth. I would rather have a locked 30 than a variable 60. That said, by locking at 30 they could have put more effort into the graphics. It will be interesting to see what they plan for WRC 8. If they can shoot for locked 60fps and add more stages it would be even better. torque99, Gregfranklin, Brend and 1 other person like this. Glad you liked the review. I feel like WRC 7 is a great effort, getting up to 60fps would be phenomenal. Even if just on Pro/X. torque99, Gregfranklin and Pfei like this. If only. My current financial situation doesn't make PC an option. Even if my financial situation permitted, I still wouldn't go PC living in Argentina. They're too expensive. A GE Force 1080 alone is US$1100. So console is the only option. And Logitech being the only peripheral company with warranty in Argentina, it's the G29 or nothing. Unfortunately, WRC7 lacks a comprehensive control setup on PC based on Windows devices as most racing games on PC do. As a result, the title cannot detect my wheel / pedal axis or buttons (not mainstream hardware). That's not to suggest that my hardware requires pre-sets, I just need the ability to assign axis and buttons as needed. If you use a Direct-drive wheel / advanced pedal set, or hand-brake, you may not be able to set them up with this title. Hopefully, this can help others avoid wasting time and risk going beyond the Steam refund window. I do hope the developers address this over-sight with controller compatibility. I have seen many examples in different forums of PC players getting pedals mapped as buttons, but when the game is actually played they work as an axis. Anyone having trouble should check their FB page or submit a support ticket as I have seen lots of people able to resolve these issues. Not all of them, but at least there might be possible fixes for some players. "the game mostly sticks to a locked 30FPS and 1080p resolution." Most games these days push a constant 60 - GTS & PC2 with grids of 20-30 cars. To not even achieve a constant 30, 1 car on screen (Rallycross aside) and the graphics not really being anything to shout about is unforgivable, and for that, I will be avoiding this title and sticking to DiRT Rally and DiRT 4. Occasional framerate dips affected us on the Monte Carlo rally, though. Specifically, it was only with foggy weather — every other time it was smooth sailing. We couldn't shake the framerate in any other situations during our review. Thus "mostly". Is a locked 30fps disappointed compared to a locked 60fps? Absolutely — but neither of the games you mentioned achieve that either. Even on current consoles, it seems a rare feature. I totally get your review, and think it's very balanced and fair, and mentions pros and cons in equal measure. I have no arguments whatsoever with that. The other games I mentioned have a lot more going on - bigger grids etc for example, and still manage 60 the vast majority of the time. But to not be able to do it at half the FR locked, with 1 car on screen, to me, is pretty poor. 60 should be the benchmark with todays hardware. If 30 is absolutely unavoidable then it should be 100% flawless, throughout. Not just everywhere except Monte Carlo with weather. This is just my opinion and the reason I'm choosing to not buy the game. As a comparison, DiRT 4 very, very rarely drops below 60 on Rally and Rallycross, and it's only for a split second if it does. Plus it looks better than WRC7. It runs like **** on Nevada Landrush, however. lol. I've always wondered why that Nevada track breaks the game basically! I agree with your points, it would be awesome to have 60fps here but the game actually suits 30fps much like Driveclub did. The gameplay style isn't outright hindered by opting to hit 30 and if we're going to be honest - Getting WRC 7 at a stable 60fps across all platforms would be a huge ask of Kylotonn. I can't be a hypocrite here because I too, am a massive FPS nut. Most of the time it's 60 or death for me. Certain games don't get hurt too much by the lower framerate assuming it works well though. I think WRC is one of those titles. Still though, if it's ever on deal, may be worth picking up I'd say. You also seem like a rally fanatic like myself and WRC 7 has some of the best stage design I've seen in a looooong time. manofsteel and Pfei like this. Why is this in the sim hardware section? Go home GTPNewsWire you're drunk! GTPVenomZombie, Brend, Quattro20v and 1 other person like this.